Our volunteers are a key part of the 4-H Youth Development Program. 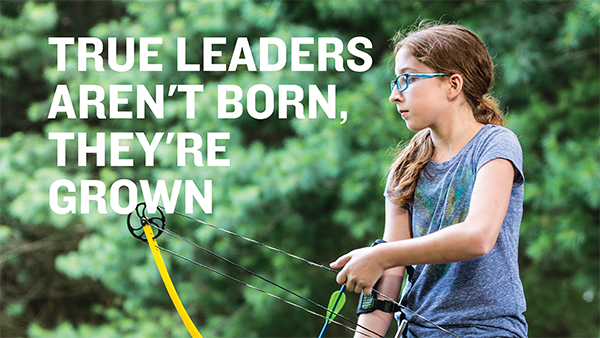 By volunteering, you are helping to grow the skills of 4-H youth to be our future leaders. Sacramento County's 4-H program has a wide range of volunteer opportunities and welcomes community members to share their skills, interests and time. Engage and work with youth to help them thrive. Share your spark with youth in a 4-H project or provide administrative support for a 4-H Club. 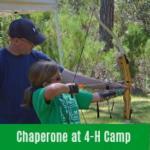 Volunteer to chaperone at 4-H Camp. 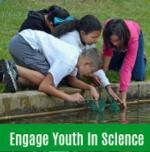 Engage youth in hands on science in 4-H YES or On the Wild Side. See our list of clubs to find one near you. You can also contact the 4-H Office at sacramento4h@ucanr.edu or 916-875-6530 in the Sacramento Extension office for help in finding clubs or programs near you to start you on the process of becoming a volunteer. Contact the club or program leader to learn more about the volunteer opportunities available. All new 4-H volunteers must go through a screening process. Our #1 priority in 4-H is the safety of young people. We do all we can to protect young people and keep them safe while they are in our care. When you become a 4-H volunteer, you are part of the plan to keep our young people safe. *For Spanish: The 4hOnline system is only in English. You can fill in the paper enrollment packet in Spanish and turn it in to your club leader or county staff for them to enter it into 4hOnline for you. Please keep a copy of the paper forms for your records. 3. Complete a California Department of Justice Livescan background check. An important part of providing a safe environment is to conduct background checks on our volunteers and staff. Everyone that will be spending an extended time with our 4-H youth is screened. 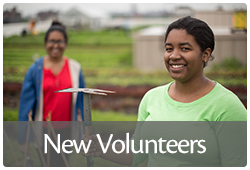 All new 4-H volunteers are required to take the New Volunteer Training online courses in the eXtension system before they become approved as volunteers. This interactive training series introduces you to the best practices in positive youth development that are used in 4-H. The trainings are available in English. Spanish training is coming soon! After you complete and submit your 4hOnline profile you will receive an automated message with the eXtension login instructions. The email will go to the Family email account you entered in 4hOnline. Representative for the login instructions. • You are signed up in 4hOnline. • You have passed the screening process. • You complete all of the New Volunteer Training required in your county. Once you are approved, the fun begins! Thank you for joining our 4-H family! volunteers have supported 4-H for 10, 20 and 30 years or more! 2. 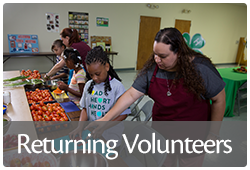 Take the Returning Volunteers Training in the online eXtenstion system. You will receive the login information sent to your Family email after you update and submit your 4hOnline profile application for the new year. If you used a paper enrollment form, you will have to check with your county 4-H Representative for the instructions. We rely on volunteers in all aspects of our program. The experience offers satisfaction, the opportunity to meet and work with others, the change to grow your skills, and fun. If you are interested in volunteering, please complete this volunteer survey. Once that is complete, we can match you with a program that most interests you and get set up to attend an upcoming New Volunteer Orientation. 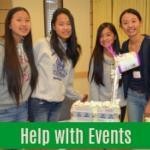 The 4-H Club program is the oldest and most established of our delivery methods. 4-H Community Clubs are found throughout the county and offer the opportunity for hands-on learning for children ages 5 to 19. 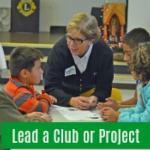 4-H Volunteers are needed to lead 4-H projects in an area of interest. We also need volunteers to help with 4-H Club Leader administrative tasks. The 4-H YES curriculum is designed to foster inquiry and engage children ages 5 to 8 in the process of exploration. A cross-age teaching model engages teenage volunteers as teachers. After attending a 10-hour training session (equipped with 4-H YES curriculum and adult coaches), the teens work in teams to prepare and deliver the weekly science activities. We have volunteer openings for both teens as teachers and adult coaches.